CCS have successfully secured the floor screeding package to a new hotel in London. CCS have commenced floor screeding and drylining works to a new Church school in London. 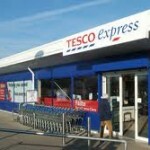 CCS have successfully secured the floor screeding works to a new Tesco Express in Leeds. CCS recently commenced floor screeding works at to a new High School in Hillingdon. CCS have successfully secured the floor screeding works to remodel a large Prezzo Restaurant in Essex.